1.Add-on module of MSC Apex structure in MSC FEA software as per technical specification. 03171397903 12.06.2017 OPTICAL LASER DISPLACEMENT SENSORS. 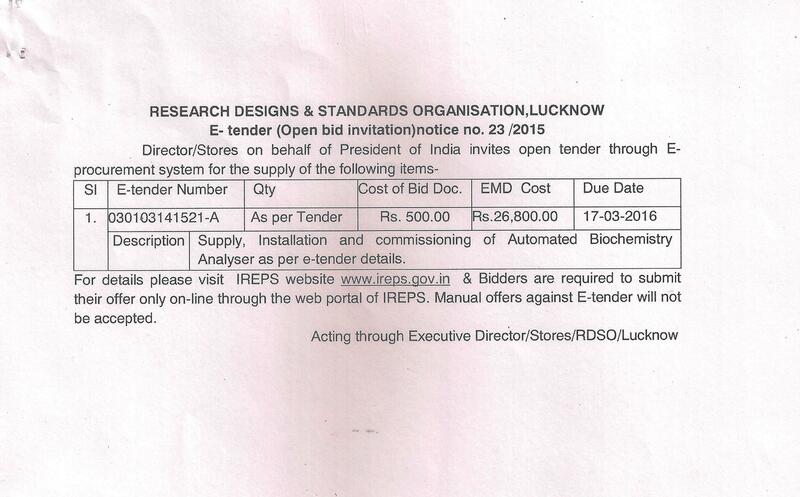 24/2015 03001162141624 26.02.2016 "Supply of load cell assembly as per specification attached with E- Tender." Supply, Installation & Commissioning of Automated Biochemistry Analyser.